東宝大怪獣シリーズ「モスラ(2001)&バラゴン(2001)」 ショウネンリック限定商品) RIC Exclusive Version vinyl figure set by X-Plus. Rich Eso reviews the Toho Special Effects Museum: Mothra 1964 & Godzilla 1964 (東宝特撮ミュージアム モスラ(1964)&ゴジラ(1964) 限定セット) limited “mini” set by X-Plus. 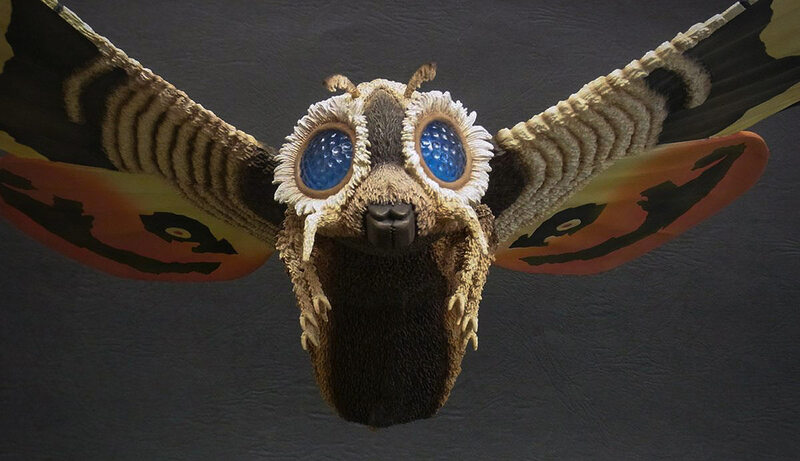 Lester Wayne Daniels (“Viking Spawn” on photo site Picasa) just shot and released a HUGE photo gallery of the recently released Large Monster Series Manda and Mothra 1968 set from X-Plus. His galleries are truly THE most EXTENSIVE sets of photos you will find ANYWHERE. 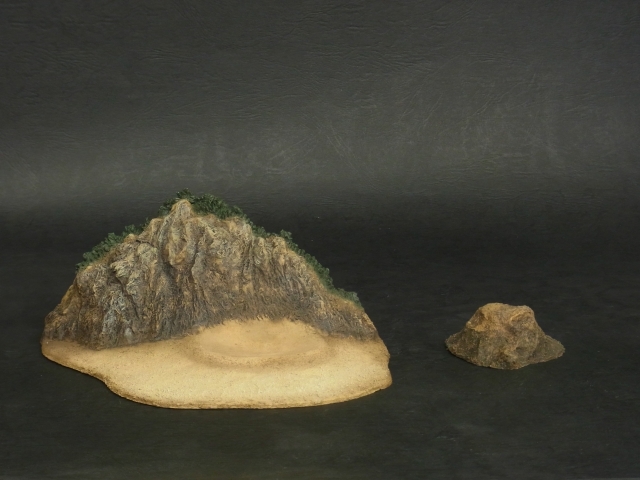 So, if you need a good look at this set, you won’t find a better place to go than to Lester’s Manda (Second Generation) and Mothra Larva Photo Gallery on Picasa! If you like his shots and want more… oh, there’s more. 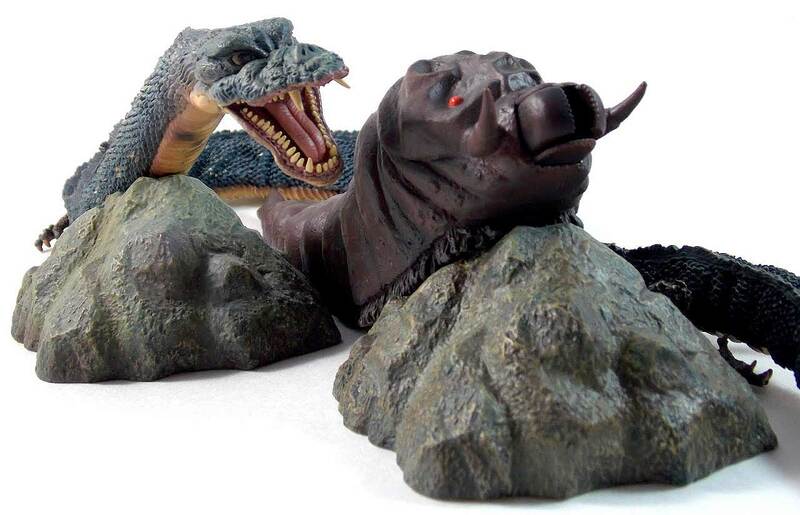 Rich Eso reviews the Toho Large Monster Series Manda and Mothra Larva 1968 set by X-Plus. 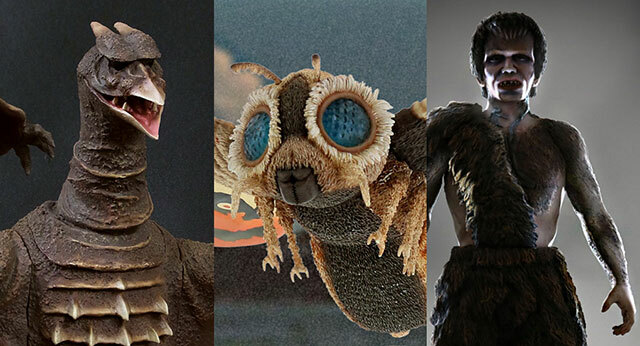 Leslie Chambers reviews the Toho Large Monster Series Manda and Mothra Larva 1968 vinyl figure set and then shows off his X-Plus Destroy All Monsters vinyl line-up! The new Large Monster Series Mothra 1964 Ric Boy version came paired with a re-issue of the Large Monster Series Godzilla 1964. Some collectors, though, already had the original release of the 25cm Series Godzilla ’64 already sitting on their shelves and so opted to buy Mothra solo. Now, just because you have an original Godzilla beside a new Mothra doesn’t mean you can’t arrange them the same way as the Ric set was meant to. As I already demonstrated in my recent 25cm Godzilla 1964 Review, you can have the figure stand directly on the shelf and still use the base to support the tail, just not in the way in which it was intended. So, if you like, you can still “connect” these two figures even if you don’t have that new mini base for Godzilla. Just press his foot into the footprint, press and hold it while sliding the original base behind him until his right heal and tail rest on it. 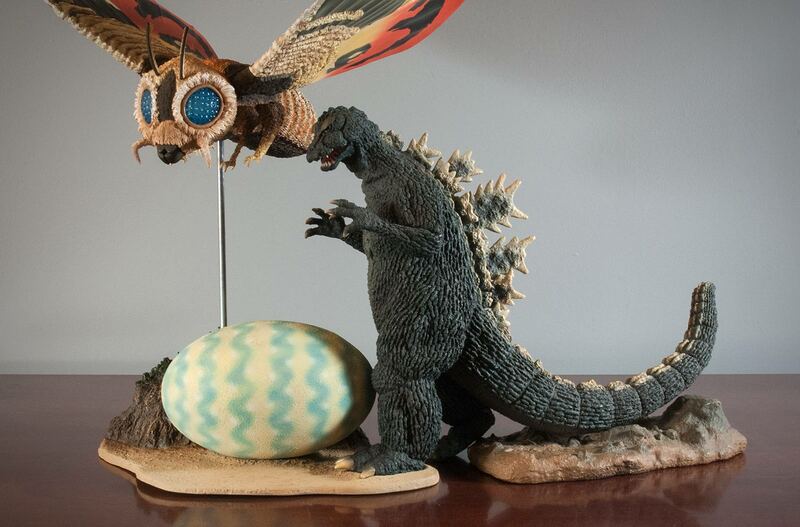 I’m not sure how I missed this but X-Plus showed off the base design for the new Large Monster Series Mothra 1964 Ric Boy Exclusive with Godzilla 1964 on their blog. Looks like the egg will indeed be removable from the base. Good news, methinks! You now have options as to how you want it to look on your shelves. And toy photographers, rejoice! I have a feeling we’ll be seeing a lot of ‘outside’ shots of this set. And this photo settles the question “Will G’64 come with the base?” once and for all. 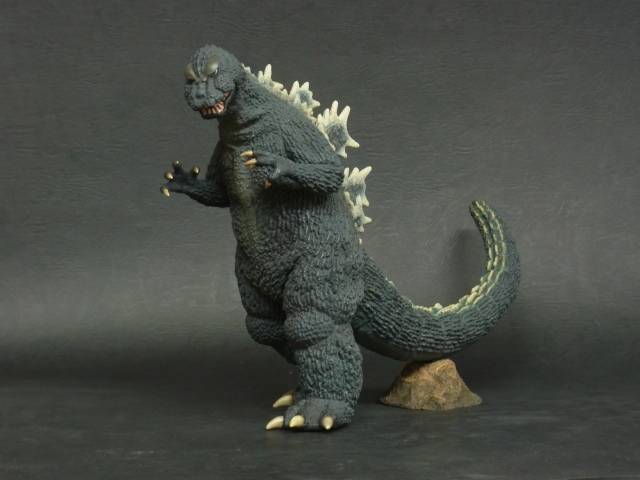 Instead of the rocky platform that rose previous releases of the 25cm Godzilla 1964 to a height above other Godzilla figures in the line, you’ll be getting a little tail support instead. I kind of like this. Now Godzilla 1964 will be level with his brothers on the shelf. I kind of wish X-Plus would make this rocky nub available separately for those of us who already have the G’64 and don’t like the original base. But, don’t fret. If you have an original and want your 64’s feet on the ground, I have an idea for that you use right now on my review.